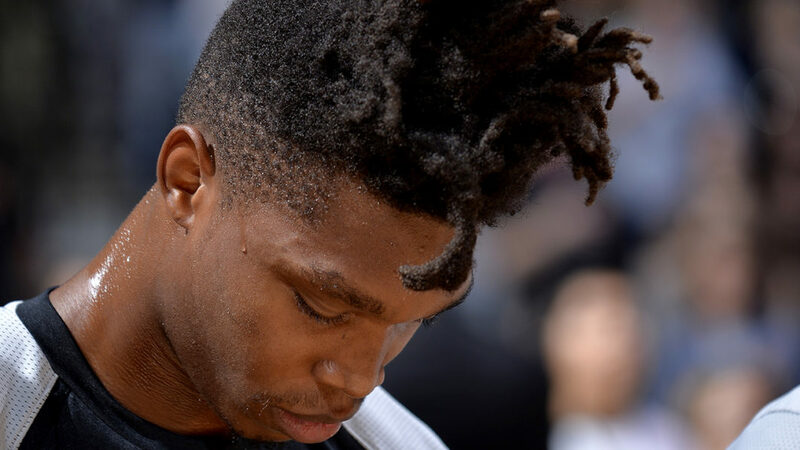 San Antonio Spurs rookie guard Lonnie Walker will undergo right knee surgery on Monday and miss the start of the upcoming NBA season, the club announced Saturday. Walker underwent an MRI exam Saturday morning that showed he had suffered a torn medial meniscus in his right knee in the fourth quarter of a 117-93 pre-season home victory over Detroit. Spurs team physician David Schmidt will perform the operation, after which a timeline for his return will be determined, although typical recovery time would be a minimum of six weeks. Walker scored six points in his only pre-season appearance. The 19-year-old American was the 18th selection in June’s NBA Draft and played for the Spurs Summer league squad. The Spurs, who have not missed the playoffs since 1997, were seventh in the Western Conference last season and lost in the first round to eventual champion Golden State. The team has revamped the roster since last season, with long-time guard Tony Parker now at Charlotte and DeMar DeRozan joining the Spurs this season from Toronto.